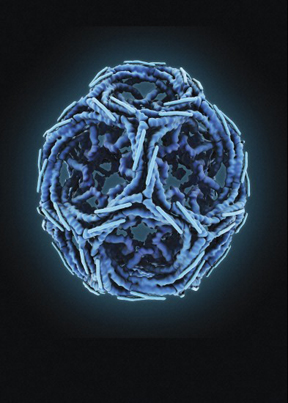 This image of Clathrin, created by Maria Voigt for the Art of Science, was selected for a 2016 Wellcome Image award. 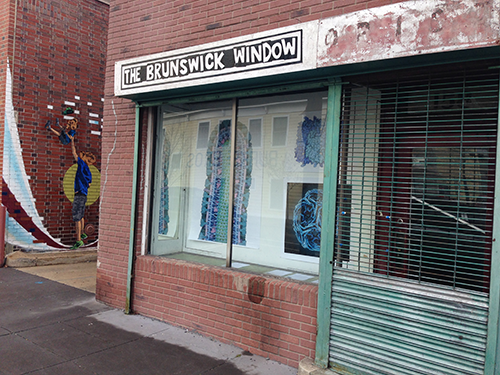 The Art of Science uses the context of a community art gallery to introduce new audiences to to the beauty of structural biology. 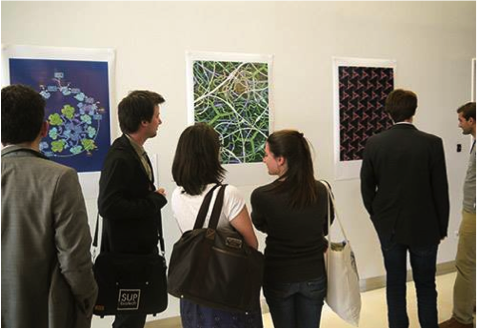 The exhibit displays curated images of molecules in the PDB, including examples examples from the Molecule of the Month, as large-scale art works. The visual beauty shown in these pictures is accompanied by introductory descriptions of the science behind the structures. The use of an alternative venue and presentation method for science communication has shown to be a powerful tool to reach and capture the interest of lay audiences. The public exhibit is able to draw the attention of an audience that would not normally look for similar images and information online. 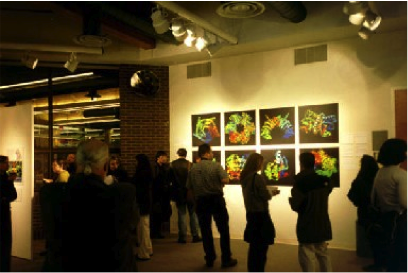 Since its beginnings in an art gallery at Rutgers University, RCSB PDB's Art of Science has been hosted around the world including Texas A&M University, EMBL-Hamburg, Germany; University of Wisconsin-Madison; California State University, Fullerton; Purdue University; and Hyderabad, India. The original exhibit toured mostly between 2002-2007. Since 2013, an expanded version of the Art of Science has been touring around the world. The current exhibit includes images from the original show along with new works inspired by important Molecule of the Month topics and the International Year of Crystallography (IYCr). In 2014, support for this exhibition was provided by a grant from the American Crystallographic Association (ACA) for IYCr. 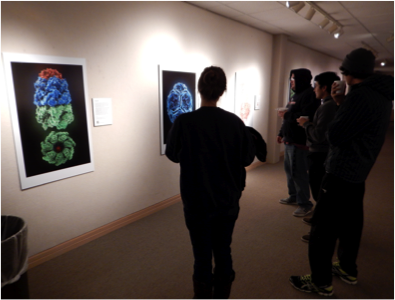 Thanks to the ACA, thousands of students at McPherson College (McPherson, Kansas) and the Delbarton School (Morristown, NJ) visited the exhibit. The host institutions now have these materials on permanent display. For additional details about hosting this show, please contact info@rcsb.org.